8e IMCA & 6e PAWC 2007! 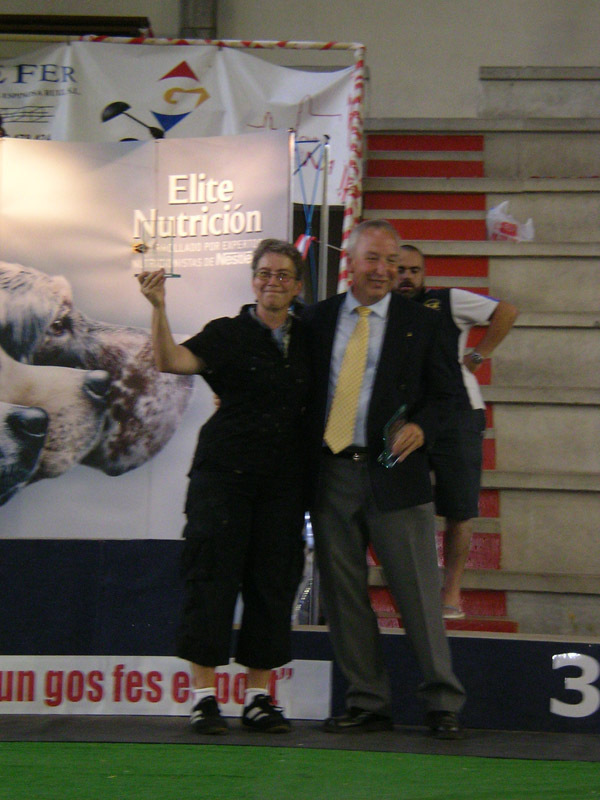 The 8e IMCA & 6e PAWC was organised from 6 until 9 September 2007 in Girona, Spain. 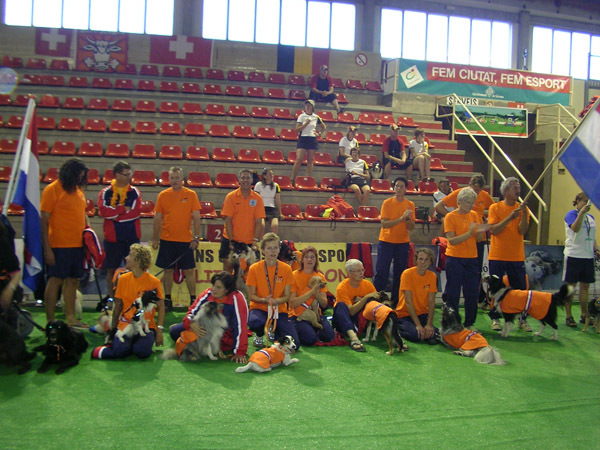 Again a very sportif agility Event for valid handlers ( IMCA) and handlers with a disability (PAWC). This year nearly 160 competitors and their coaches from 13 countries. Teams from countries who have take part before : Belgium, Germany, Finland, Hungary, Italy, Austria, Romenia, Slovenia, Spain, Czech Republic, Switserland and of course a Team of the Netherlands. For the first time we could say a hearlty welcome to a competitor of Danmark, we hope he will take part next year with a hole team! For the PAWC this year 16 handlers with 19 dogs. 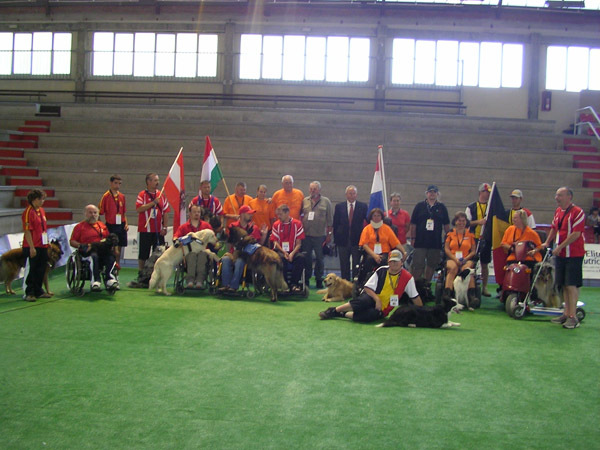 For the Netherlands 3 competitors for PAWC this year with total 4 dogs! For Team-competition 2e place for small, medium and large! Also report on: Reports Matches-Demonstrations!